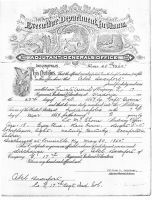 Certificate of Civil War service, dated 20 Nov 1925, indicates that Abel enlisted only fourteen years later on 23 Feb 1864 at "age 18." Abel was most likely only age 16 when he enlisted at Medora, Carr, IN as a Private, Co. G, 17th Inf., Indiana. His unit took part in the siege of Atlanta and in operations in north Georgia and Alabama. 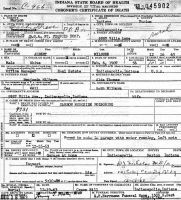 Abel, about age 17, was discharged 30 May 1865 at Louisville, KY.
U.S. Army, Register of Enlistments, 1798-1914 (1866 A-O): "Abel Davenport, enlisted 20 Aug 1866 Jeffersonville, [Clark County], IN by Pugh for three years, age 19 b. Abt. 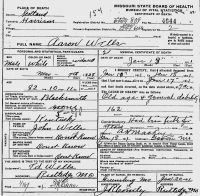 1847 Jefferson County, KY, farmer, gray eyes, brown hair, 5 ft 6 in, unit: Co R, 2d Inf Regt; discharged 9 Aug 1869 (expiration of service) at Huntsville, Al Army Depot." Organized at Indianapolis, Ind., and mustered in June 12, 1861. 2nd Brigade, 2nd Cavalry Division, Army of the Cumberland, November, 1863. 3rd Brigade, 2nd Cavalry Division, Army of the Cumberland, to October, 1864. 1st Brigade, 2nd Division, Wilson's Cavalry Corps, Military Division Mississippi, to August, 1865. Atlanta (Ga.) http://www2.cr.nps.gov/abpp/battles/ga017.htm Campaign May 1 to September 8. Joined Sherman May 10. Battle of Resaca http://www2.cr.nps.gov/abpp/battles/ga008.htm May 14-15. Movements on Dallas http://www2.cr.nps.gov/abpp/battles/ga010.htm May 18-25. Near Dallas May 24. Operations on line of Pumpkin Vine Creck and battles about Dallas, New Hope Church and Allatoona Hills May 25-June 5. Big Shanty June 9. Operations about Marietta and against Kenesaw Mountain http://www2.cr.nps.gov/abpp/battles/ga013a.htm June 10-July 2. Noonday Creek June 19. Powder Springs June 20-27. Rottenwood Creek July 4. Chattahoochie River July 5-17. Covington July 22. Siege of Atlanta July 22-August 25. 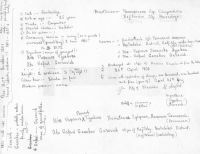 Garrard's Raid to South River July 27-31. Flat Rock Bridge July 28. Lovejoy Station July 29-30. Newnan's July 30. Operations at Chattahoochie River Bridge August 26-September 2. Operations against Hood in North Georgia and North Alabama September 29-November 1. Near Lost Mountain October 4-7. New Hope Church October 5. Dallas October 7. Rome October 10-11. Narrows October 11. Coosaville Road, near Rome, October 13. Near Summerville October 18. Little River October 20. Leesburg and Grove Road Crossing, Ala., October 21. Goshen October 28. Dismounted November 1 and ordered to Louisville, Ky."
Civil War Pension Index: "Abel Davenport, Co. G 17th Ind. 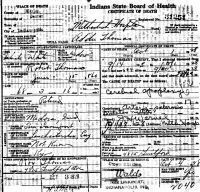 Inf, widow Cyanthia Davenport, date of filing: 2 Sep 1881, Application No. 344224 Certificate #295795, State filed: Kentucky." 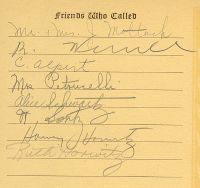 The death certificate was completed by my father, Roy Elmer Thomas, then age 30, who in later years stated that he knew relatively little about his mother, Addie, and nothing about her family, including her maiden name. Addie Davenport (1861-1928), Installing Officer of Joseph R. Gordon's Woman Relief Corps No. 43, 3 Jan 1915 Indianapolis IN Star, p. 8. Indianapolis, Marion, IN Star, 3 Jan 1915, p. 8. "The Woman’s Relief Corps (WRC) was founded in 1883 as an auxiliary of the Grand Army of the Republic (GAR). The Grand Army of the Republic was a fraternal organization of veterans of the Union Army organized in 1866 by Benjamin Franklin Stephenson of Illinois. The Woman’s Relief Corps originally intended to establish closer friendships between mothers, wives, and daughters of Union soldiers and to assist veterans with the maintenance of their organization and completing community charity projects." Frank N. Davenport of New Castle, Henry County, IN [44 miles northeast of Indianapolis] was enrolled 29 Jun 1898 in Company G, 161st Indiana Inf Regt, at Indianapolis, Marion County, IN and mustered out with his unit 30 Apr 1899. The unit trained in the American south, embarked from Savannah, Georgia, and was stationed at Havana, Cuba when the American flag was hoisted above Moro Castle in the harbor of Havana.